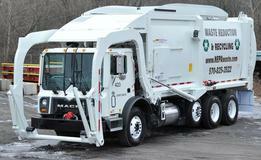 Waste Reduction Recycling has openings for Class B drivers; mechanics; yard hlep. Experience with garbage/waste mgt will be compensated generously. Health benefits. We are an expanding waste management company in need of CDL Class B drivers to drive roll off dumpster trucks, front load; diesel mechanic, laborers. Must have clean driving record and be able to comply with DOT drug testing requirements. Day shift, and must be flexible to perform other duties as needed. Experience in the waste/garbage industry BIG plus and you will be compensated for it.